Senior Due Diligence Manager – Edvard joined IWC in July 2012, bringing over 13 years of investment experience from public and private equity markets. As a Due Diligence Manager, Edvard’s role is to identify and screen potential timberland investment managers as well as evaluate and select proposed fund investment opportunities. In this relation, Edvard participates in the entire due diligence process including sourcing, evaluation, negotiation, and closing of fund opportunities ultimately recommended. Edvard holds a Master in Law from Lund University in Sweden. Prior to joining IWC, Edvard held a position at Vækstfonden (Denmark) as an Investment Manager focusing on investments in venture and buyout funds. Before that, Edvard worked for DONG Energy and TDC (both in Denmark) with M&A transactions. 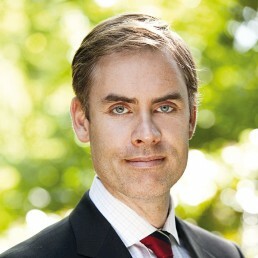 Edvard started his career within portfolio management at Svenska Handelsbanken (Sweden) with a focus on public equity.